Daniel J Flannery, Ph.D is the Director of the Begun Center for Violence Prevention Research and Education at Case Western Reserve University’s Jack, Joseph, and Morton Mandel School of Applied Social Sciences. Dr Flannery also serves as the Dr Semi J and Ruth W. Begun Professor at CWRU’s Mandel School as well as an Adjunct Associate Professor in the Department of Pediatrics at Rainbow Babies and Children’s Hospital and an Adjunct Professor at the University of Notre Dame Masters in Education Program. Prior to his work with the Begun Center, Dan was founding director of the Institute for the Study and Prevention of Violence (ISPV) at Kent State University. 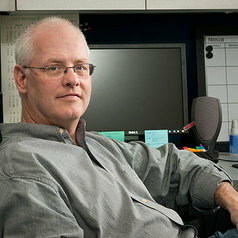 During his time at Kent State, Dan held the positions of Professor in the Department of Justice Studies and Professor in the College of Public Health. Dr Flannery has published articles in the New England Journal of Medicine and Developmental Psychology as well as journals such as American Society of Criminology, Journal of Clinical Child and Adolescent Psychology , and Journal of Family Violence. He has published several books (see below) discussing topics such as school violence, violence and mental health, and violent behavior and aggression. His most recent book is titled ‘Wanted on Warrants: The Fugitive Safe Surrender Program’, chronicling Dan’s involvement in the United State Marshal Services’ Fugitive Safe Surrender Program (FSS).